Few programs train residents in recognizing and responding to distressed colleagues at risk for suicide. To assess interns’ ability to identify a struggling colleague, describe resources, and recognize that physicians can and should help colleagues in trouble. Residency programs at an academic medical center. An OSCE case was designed to give interns practice and feedback on their skills in recognizing a colleague in distress and recommending the appropriate course of action. Embedded in a patient “sign-out” case, standardized health professionals (SHP) portrayed a resident with depressed mood and an underlying drinking problem. The SHP assessed intern skills in assessing symptoms and directing the resident to seek help. Interns appreciated the opportunity to practice addressing this situation. Debriefing the case led to productive conversations between faculty and residents on available resources. Interns’ skills require further development: while 60% of interns asked about their colleague’s emotional state, only one-third screened for depression and just under half explored suicidal ideation. Only 32% directed the colleague to specific resources for his depression (higher among those that checked his emotional state, 54%, or screened for depression, 80%). 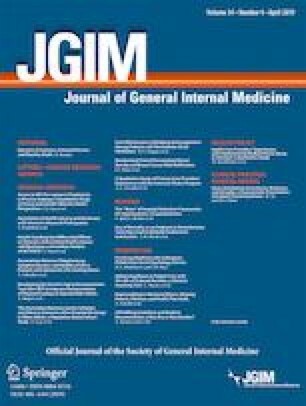 This OSCE case identified varying intern skill levels for identifying and assessing a struggling colleague while also providing experiential learning and supporting a culture of addressing peer wellness. The authors would like to recognize the valuable contributions of the inter-professional members of the Research on Medical Education Outcomes (ROMEO) group, our dedicated faculty, standardized patients, and learners, all who participated in creating a supportive learning environment. We acknowledge that The New York Simulation Center for the Health Sciences (NYSIM), a Partnership of The City University of New York and NYU Langone Health, provided material support of staff, space and equipment for the research conducted in this publication. Velez N, Cohen S. Medical intern plunges to death off tower in NYC. The New York Post. http://nypost.com/2014/08/22/medical-intern-jumps-to-death-in-nyc/. Published August 22, 2014. Accessed November 1, 2018. Sinha P. Why Do Doctors Commit Suicide? The New York Times. http://www.nytimes.com/2014/09/05/opinion/why-do-doctors-commit-suicide.html?_r=0. Published September 4, 2014. Accessed November 1, 2018.